When this novel hit shelves over a year and a half ago, I remember seeing so many positive reviews. I'll admit that I was immediately drawn to the simplistic cover and original title. I still love it. However, I wasn't sure how I felt about the whole body-image theme simply because I was worried about dealing with a whiny protagonist. I can't stand novels about girls who are so insecure that they spend the whole novel complaining or acting immaturely. That's part of the reason it took me so long to pick up Dumplin'. I was concerned that Willowdean would drive me crazy. Thankfully, that's not what happened at all. Willowdean is a strong character who doesn't let her weight define her. She's determined not to let it hold her back, and her confidence is empowering. Sure, she's not thrilled to be "fat," but she handles it as best she can. She's relatable, both in her level of insecurity and determination. I'm sure every girl in high school feels somewhat self-conscious about her body image while simultaneously telling herself that it doesn't matter. Willowdean embodies that paradox perfectly, and I really enjoyed watching her grow as a person. The story is set in Texas, which I loved. As a native of the Lone Star State, I snickered at Murphy's all-too-accurate depiction of high school in my home state. She seriously nails so many things on the head, from ridiculous mums for homecoming to the blistering heat of summer. I especially loved the part where she talks about Texas enduring every season in one day during the Fall. So true. 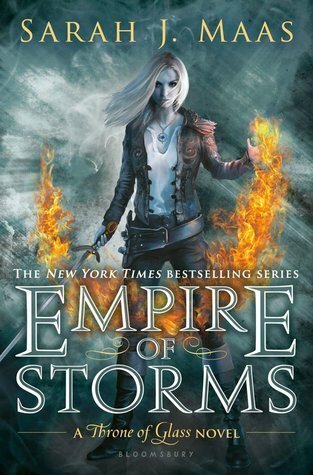 Murphy's writing style flows very well, and I found myself slipping into her Will's head immediately. She's also got a great sense of humor: not too overt, but just enough to make you smirk every once and a while. Not only does Murphy address weight issues and perceptions of fat people in America, but she also pointedly includes strong feminist themes. Critiques of cat-calling, jokes about periods, and beauty standards are all fair game in Murphy's novel. Having said that, she doesn't slap her readers in the face with over-the-top calls for reform. Instead, she places the themes in everyday situations and makes subtle (but noticeable) commentaries. I wasn't a huge fan of Will's romances, unfortunately. I kind of feel like Murphy poured so much character in Will, but she shirked the love interests. Plus we've got the classic love triangle of sorts, which seemed kind of unnecessary for me. Not a huge critique, but I did find myself rather bored with Will's love life throughout the story. Plus, Will seems more insecure and selfish when she's around her boy interests. I don't like how she looses a bit of her character simply because a cute boy sits next to her or hands her a piece of candy. where nothing else can exist, because I'm so consumed." 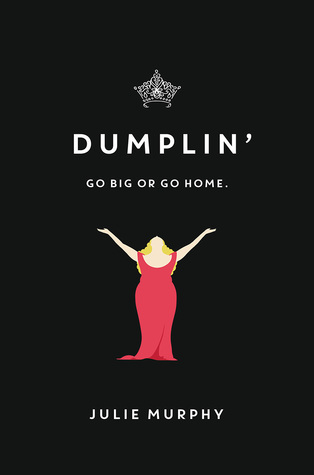 Having said that, my problems with Dumplin' were few and far between. Will isn't perfect, and she's even pretty selfish at times, but there's a story in her flaws. Take the time to read about her transformation and you won't regret it. Murphy's novel is empowering, relatable, and thoroughly enjoyable.